A quick sketch before I get started this morning. 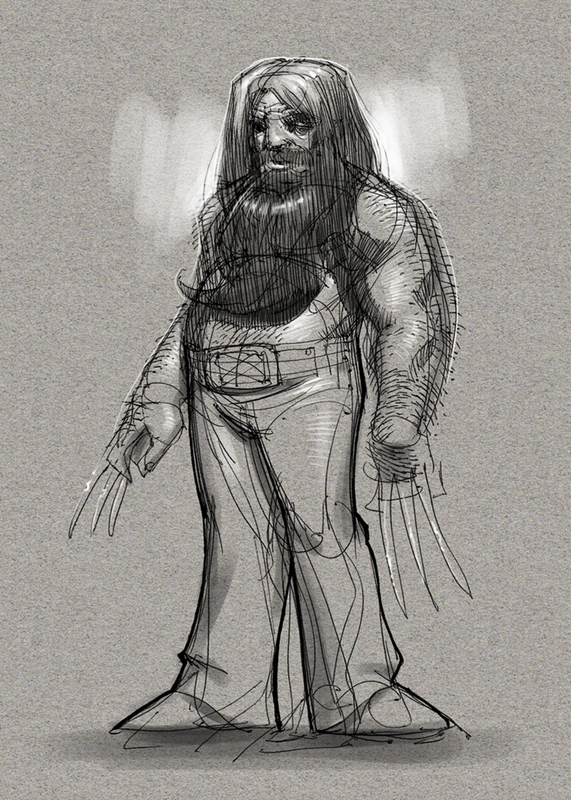 I was toying around with the idea of Wolverine as the last man on earth. He’d probably be more rough looking and more animal-like. Sorry for the lack of updates around here…I’ve had my hands full. Geez, I sound like a broken record (or would that be mp3?). Here are some older sketches I dug up which will be part of a bigger thing if and when I ever get to overhaul my homepage. 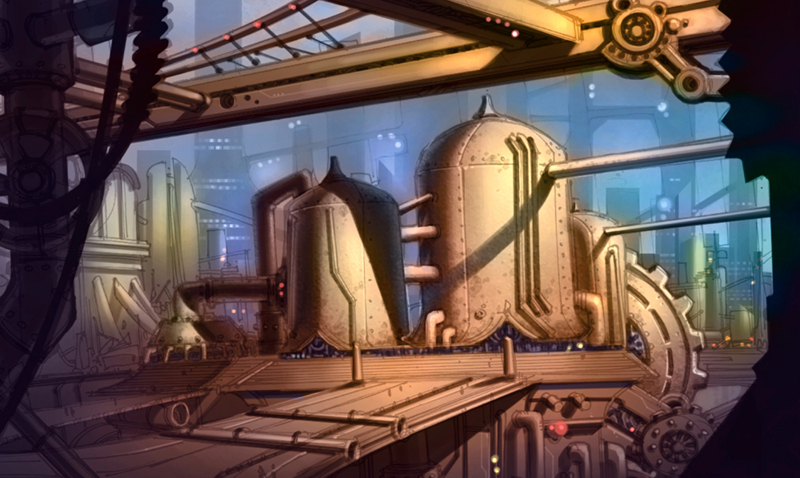 The top sketch was a design for a futuristic city of the industrialized, grimy kind. I based the building shapes on Spanish conquistador helmets. The bottom sketch was a value study for a cityscape I’d love to try and paint.